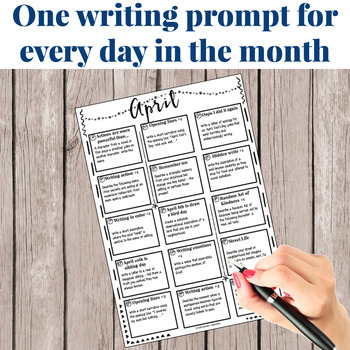 These writing prompt sheets are a fantastic way to give your high or middle schoolers amazing writing every day for the whole month of April. Use as bell ringers or quick writes. 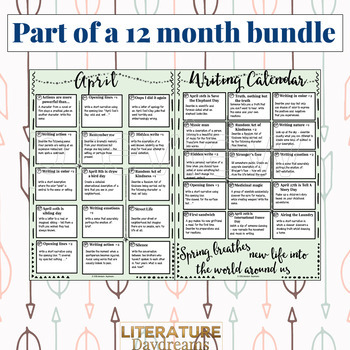 They would be a fantastic addition to any writing units covering: description, narrative voice, literary techniques, dialogue, writing comedy, writing action, or any narrative writing unit. 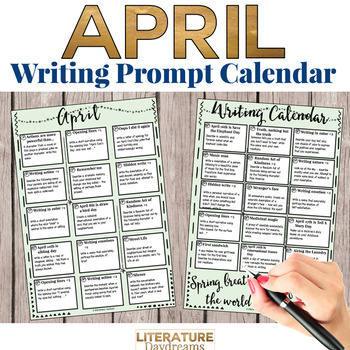 Each calendar date has a different writing task. Some are based on annual celebration days (this month we have April Fool's Day of course!) 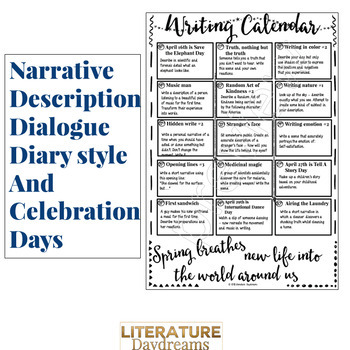 some are based on world celebration days (Save The Elephants Day) and some are narrative or descriptive writing prompts.